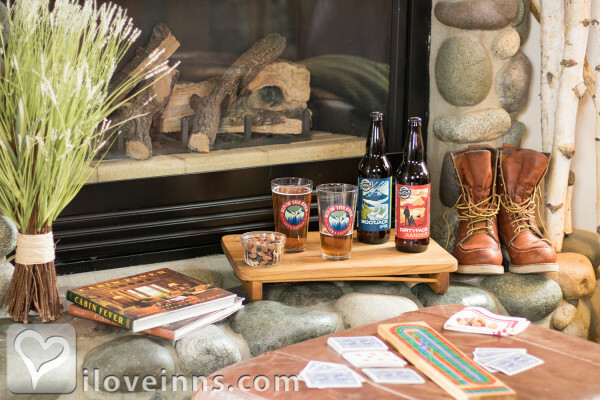 With its exceptional warm welcome and hospitality, Run of the River Inn & Refuge has long been established as a premier Leavenworth destination. 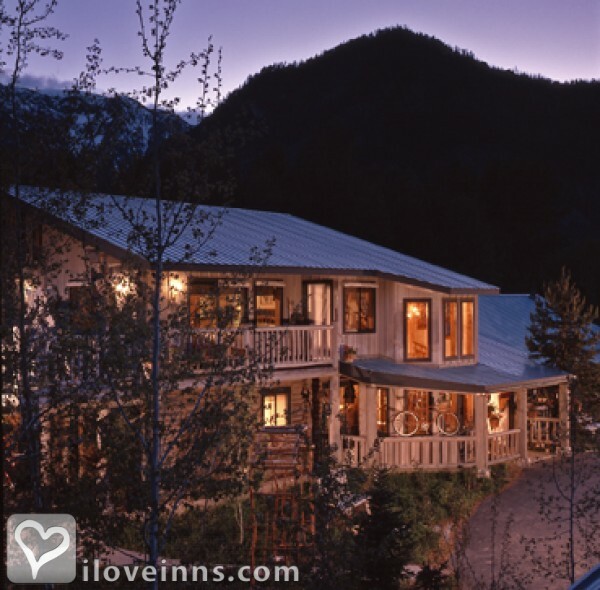 Situated on approximately four acres in the heart of the central Cascade Mountains, the inn is perched on the edge of the high water channel of Icicle Creek, approximately one half mile upstream from the nationally renowned town of Leavenworth, WA. With it's large trees and terraced gardens, Run of the River is unequaled, creating a haven of beauty and serenity that beckons guests to linger and unwind to a slower pace. 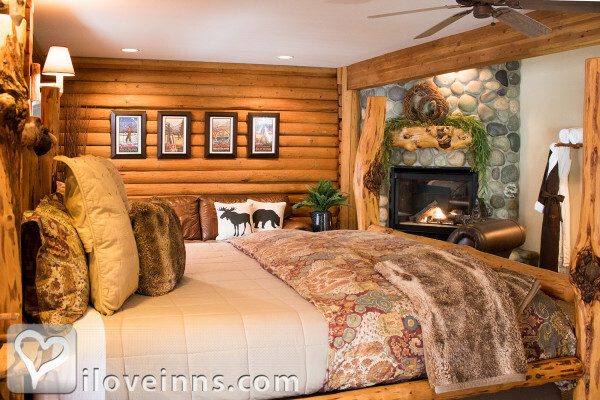 Loaded with rustic charm and luxury, the six Adventure suites and Ravenwood Lodge are steeped in rich woodwork, with king-size log beds, spa tubs set in river rock, and fireplaces. The exquisite craftsmanship and d�cor maximize the nature that surrounds. 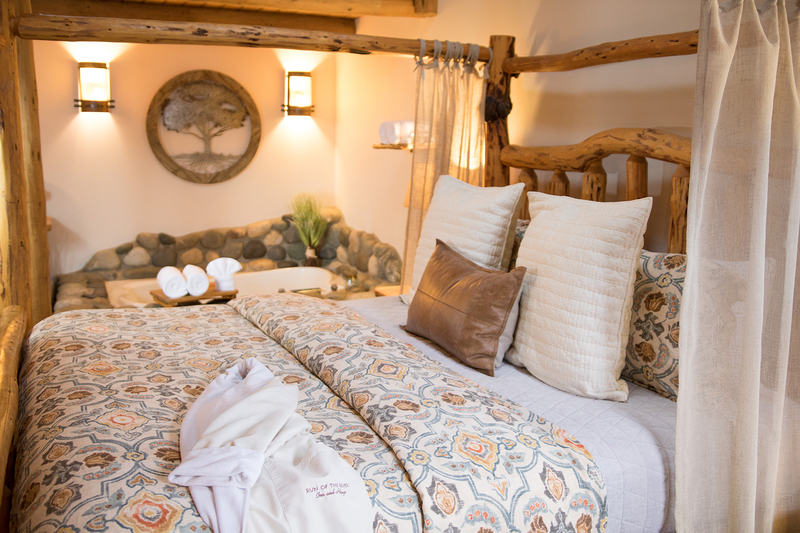 Handcrafted furnishings, fixtures, paintings and linens have all been carefully selected to create these well appointed accommodations. Payment Types Accepted Include Travelers Checks, Master Card, Discover, Visa and Personal Checks. 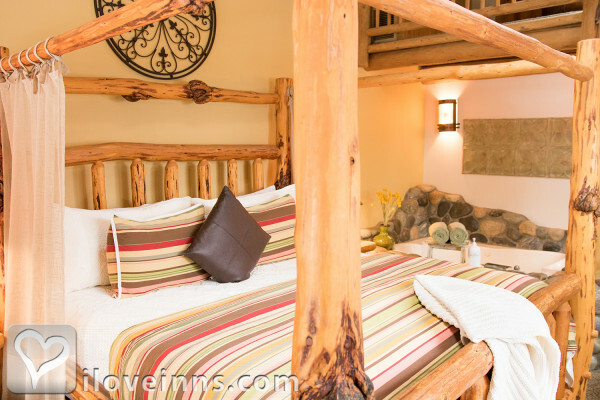 This property has 6 total guest accommodations with private bath, 6 with fireplaces, 6 with whirlpools and 1 cabin. The types of beds available include King. Amazing quality throughout the inn. All suites are spacious with unusual privacy. Melt-in-your-mouth fabulous! Serve warm with homemade whipped cream, sliced almonds and freshly ground cloves. This is the best first wedding anniversary ever! Just saying. Thank you, my lovely wife, for such a beautiful adventure togther. The Run of the River Oh we had fun! Breakfast, phenomenal, truly bar none. Schweinshaxe und bier and a little gluwein A romantic birthday weekend, twas truly no match. Like the ducks on the river, we'll truly be back. A weekend to remember, thank you for that! The days were great The days were fun Thank You Thank You Everyone Our 3rd stay at Run of the River Twas Super Stoopendous. A sanctuary and a little piece of HEAVEN The best hospitality EVER! Once again we were blessed with a wonderful stay at your B&B. The food was great and the staff was warm and friendly. We will certainly come back again. Thanks so much for everything. P.S. The typewriter keys stick, sorry for the typos. We want to thank you all from the bottom of our hearts for everything that is done for the guests especially the little details that made our getaway elopement so very special. Every expectation we had was exceeded from the room, to the breakfast, the warm welcome and friendliness of all staff (including Fannie). This was so special for us, and we are beyond grateful. My beautiful wife and I just spent the last two days in the �Great Northwest� suite celebrating our first year of married life together. Such a special anniversary could not have been spent in a more romantic or serene setting. Your hospitality was truly heart-felt and we have never been more in love with a place (and each other) as this. We will never forget this place! We had an amazing time here. With three young boys, we rarely get away alone. Being able to reconnect and focus on our relationship was the best gift anyone could give. We are grateful to Steve and Fanny for rescuing our van from the snow. The breakfast was spectacular. We plan to return many times in the future and stay in �our� room �up the creek.� Once again, thank you for our beautiful, amazing stay. THANK YOU for rest, relaxation and solitude. We loved the food, quiet and atmosphere. What a beautiful place to recharge. One Word � Wunderbar! They certainly know how to make people comfortable and feel at home. Our 2nd stay here and even more amazing then in the summer! We spent our 5 year anniversary here and Jan and Kelly reached out early to make sure anything we needed they could help with and they did; from reserving a private sleigh ride and dinner to advising for a romantic anniversary dinner, they both went out of their way to give opinions and set it all up and incorporated it into our final bill. 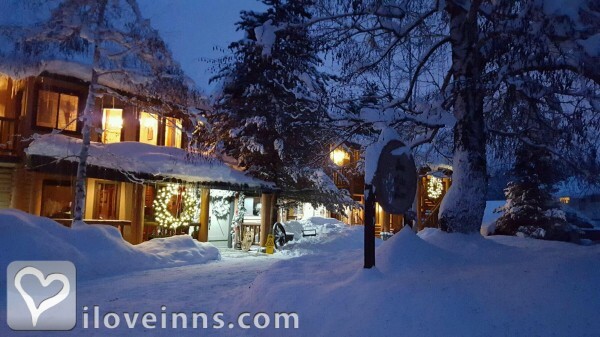 We arrived after a good snowfall to truly a winter wonderland of snow (the Inn was well paved for easy arrival and parking) and holiday decor throughout the Inn. We were greeted by ROTR staff and showed to The Great Northwest suite, which I had requested the anniversary package and walked into a room filled with rose petals, 12 long stem roses, a bottle of wine and local homemade chocolates which enhanced the already amazing room! The out of this world breakfast and table settings change every day and everything is local and homemade (yogurt, granola, fruits, butter) and using natural ingredients. It will keep you filled up well into the afternoon. There are no more than 12 people at the table, so it�s a small gathering with great banter of the prior/present day activities, where everyone is from and makes for a fun morning before adjourning back to our rooms, which the housekeeping crew takes care of while you eat. 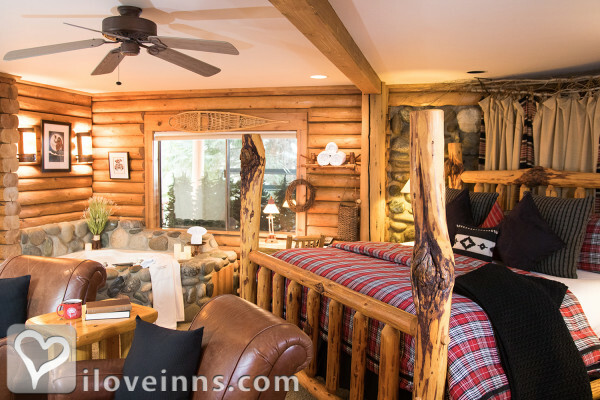 The Great Northwest Suite is well set up for 2 to relax by the fireplace while looking out off the deck at the view and wildlife. We really can�t stress the amazing attention to detail with everything...holiday lights throughout the property, winter made decorations (pine needles, sticks, cones, berries etc) throughout the rooms and property. It isn�t just an inn with rooms to stay in; it�s a well maintained with the love of bringing people together and away from everything. The variety of hot chocolate, coffees and teas that they have to grab and make starts the morning off right or makes for a nice night cap, and they make a daily treat (soft fresh cookies, various kinds of cheese cake bars) to enjoy with the drinks. 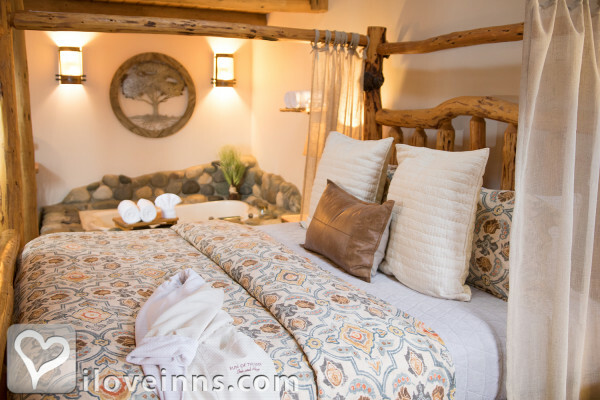 Jan and Steve and their staff have done an amazing job with this Inn, they love their 'jobs' which can be seen throughout everything like the hand written letters, the constant and ever changing decor and cooking such amazing meals. Am sure they have many 'regulars' and we will be adding ourselves to that list for years to come! The best place in the NW to go to escape and relax. They make fantastic, all home and local made, breakfasts and the attention to detail all throughout the property is just superb. No other place comes close to the quality of Run of the River. Country Living, Outside Magazine, Seattle Times, Better Homes and Gardens, Seattle Magazine, Portland Monthly, Seattle Met, Northwest Back Roads, The Office.